No matter what cruise ship you arrive on, this is the perfect do-it-yourself shore excursion in Tallinn. See Tallinn’s essential sights on a City Sightseeing hop-on hop-off sightseeing tour. You'll see historical and modern sights of Tallinn in a comfortable and secure environment, with full commentary provided. Stop at major attractions including Vabaduse valjak (Freedom Square) and the giant matchbox of Hotel Viru. 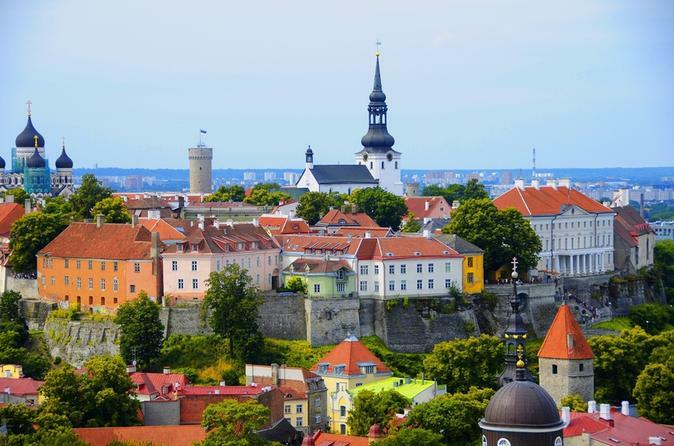 Discover enchanting Tallinn, the capital of Estonia with a fascinating past, on this 2.5-hour sightseeing tour. Your guide will show you all of the sights of the city starting with a coach tour, followed by a walking tour around UNESCO World Heritage-listed Tallinn Old Town. Explore several top Tallinn attractions including Kadriog Park, Toompea Castle, Aleksander Nevsky Cathedral and the beaches of Pirita.This guided coach and walking tour is a great way for first-time visitors to get to know this amazing city! Discover the easiest way to see the sights of Tallinn! A City Sightseeing hop-on hop-off tour allows you to see all the sights of the city at your leisure and in a comfortable, secure environment, with full commentary provided. You'll see Tallinn’s historical and modern attractions, including Vabaduse valjak (Freedom Square), the giant matchbox of Hotel Viru, the former Intourist flagship and the notorious den of Cold War intrigue. Tickets are valid for 1 or 2 days. Join us for a drive around the Lahemaa National Park for a fun day trip in a small group. You'll discover that the thick forests and the picturesque coastline of the Lahemaa National Park hold many curious secrets, from hidden waterfalls to abandoned Soviet military installations. We will visit the romantic captains' village of Käsmu, an extraordinary bog landscape with many lakes, an abandoned Soviet military submarine station and the manor houses of Vihula and Sagadi. Our young and entertaining guides take you to the places you would never stumble across on your own and share personal stories about Estonia from the perspective of the local youth. Tours are in small groups (up to 8 people) taken around in a minivan or a car. 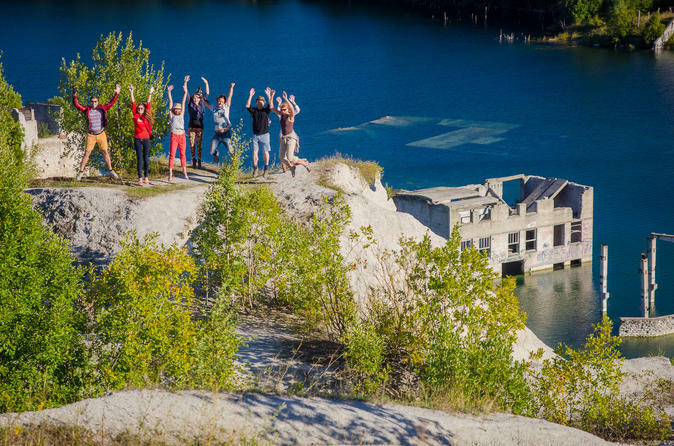 Discover the former Soviet naval base of Paldiski on this 7-hour guided tour from Tallinn. In a small group of no more than eight, explore hidden wonders amidst the wilderness, including coastal limestone cliffs, Estonia's most romantic waterfall, and the lunar landscape of the Murru prison quarry. Allow your young and entertaining guide to show you places you would never stumble across on your own and share personal stories about Estonia. You also have a chance to sit in the cockpit of an old Soviet army transport airplane. 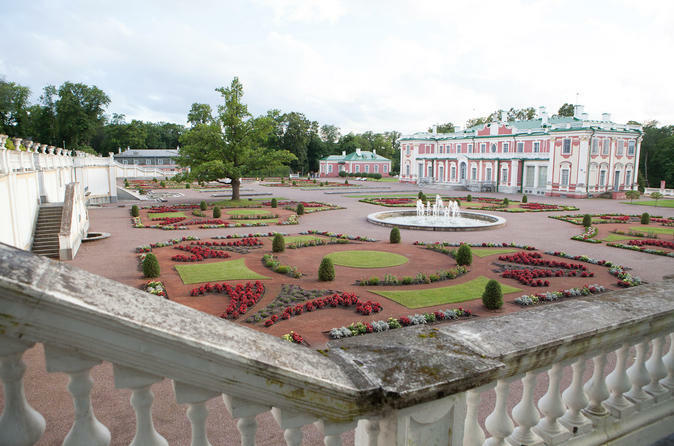 Maximize your time in Tallin with this shore excursion to Old Town and Kadriorg-Pirita. See Kadriorg Park, the palace built by Peter the Great for Catherine I, the Song Festival grounds, and Pirita Seaside. 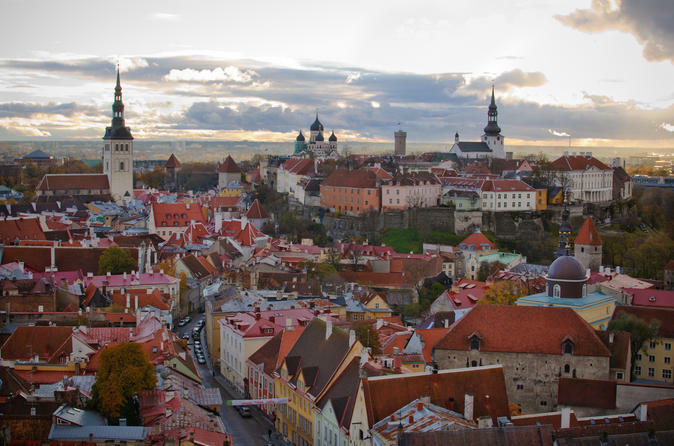 Enjoy a walking tour of Old Town Tallin with your English-speaking guide on this 5 hour tour. 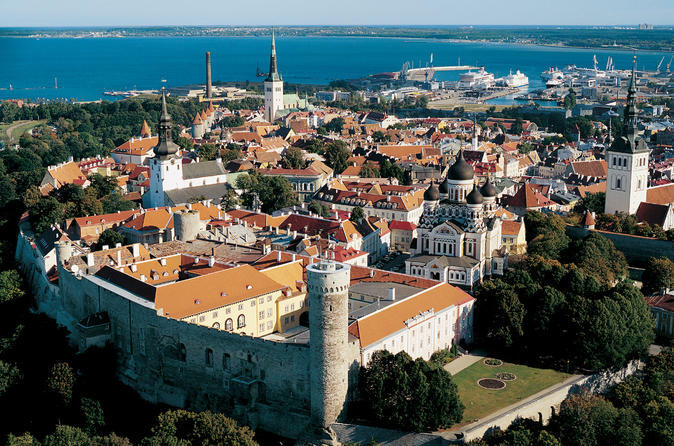 Discover both medieval and modern Tallinn on this 3-hour, private tour. 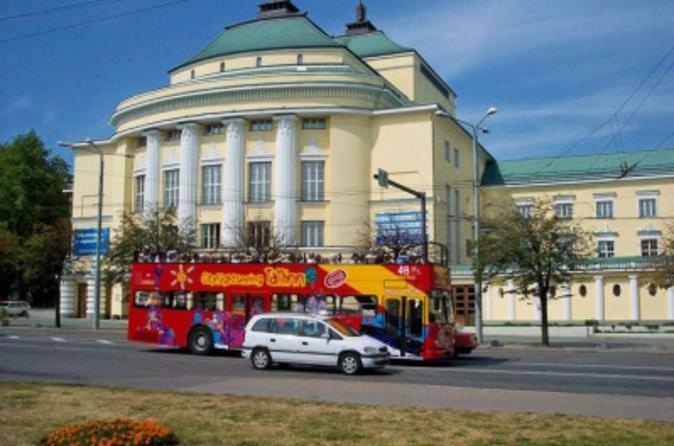 By foot and air-conditioned vehicle, explore the city's neighborhoods, from Kadriog with its historic palace, to seaside Pirita, and the medieval Old Town. Enjoy a convenient pickup from your hotel or cruise port and easily customize your tour to suit your own interests. 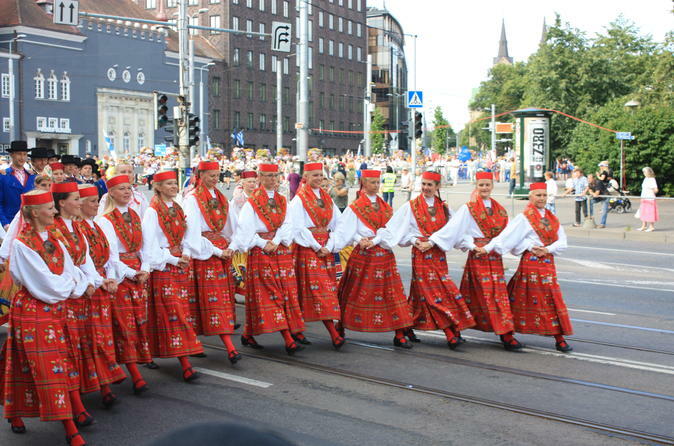 So join an awesome tour with fun times, dancing, and new faces through a medieval capital city at the top of the Baltics! 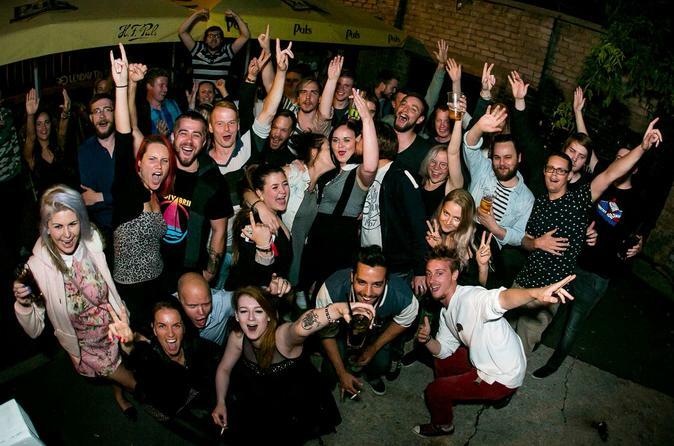 From Wednesday to Saturday, your pro party guides will make sure you get the best variety of bars and clubs in Tallinn. Meet at 10PM in the operator's favorite alternative bar for pre-boozing and drinking games. 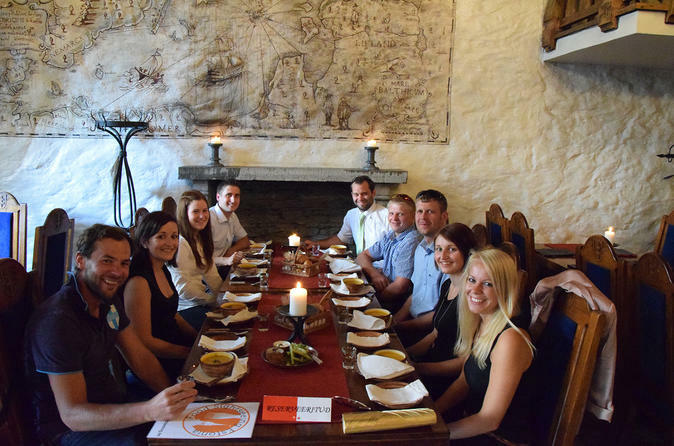 Enjoy this food tour and discover what is the Estonian cuisine - Nordic with a twist, or a touch of Russia and a bit of German? You’ll enjoy around 6 food and drink stops combined with strolls around the old town and city centre. Enjoy the venues like: medieval thematic tavern, street sales, eco-food-store, deli-shop, typical Estonian-cuisine restaurant, and Baltic Station Market. Please note that the menu and drinks of individual stops might vary according to the season. Explore the best Tallinn highlights with a 5-hour guided tour, in a group limited to 26 people. Discover the best-known landmarks of the Old Town, and see how the Estonians really live. See Alexander Nevsky Cathedral, Dome Church, and Kadriorg Palace. 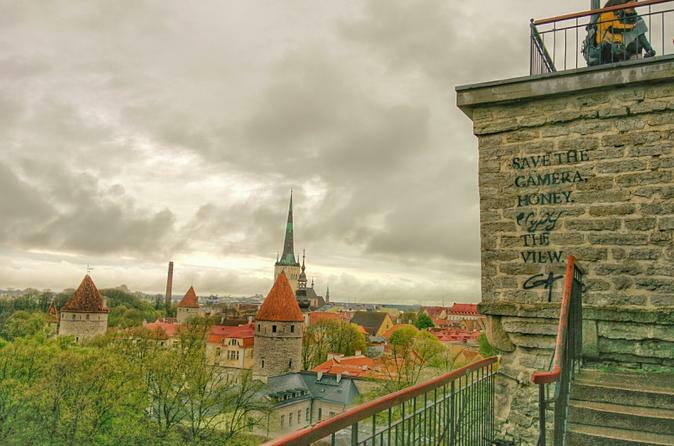 Take in the views from Toompea Hill, and make a photo stop at Pirita beach, Tallinn's modern district. Enjoy round-trip transportation from the port by a professional driver. 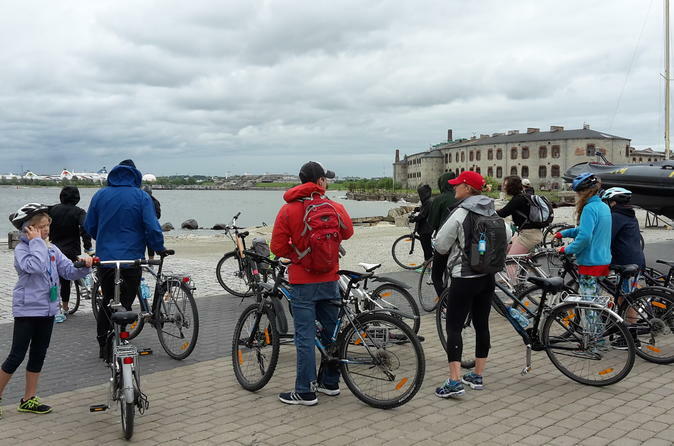 Savor the real taste of Estonia on this 3 to 4 hour guided bicycle tour. In a small group of no more than 15, pedal through the streets of Tallinn, stopping off at several locals' favorite spots along the way to sample bites of Estonian cuisine. 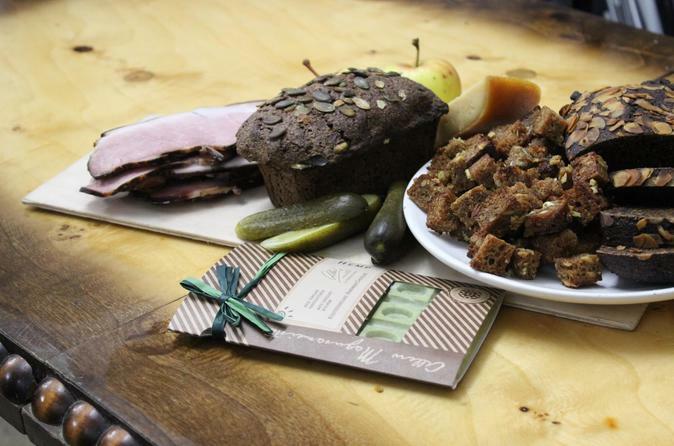 Also see some of Tallinn's best- and lesser-known sights while learning about the history of Estonian cuisine. The Tallinn city tour is a combined bus and walking tour in Tallinn. During the bus part of the tour, which lasts for 1.5 hours, we will drive around the famous Old Town, see the towers of the wall, the most famous are called Stout Margaret and Tall Herman. We will also see the mighty wall of Toompea Castle on the hill, drive through the district of high tech architecture – Tallinn’s City. Lastly, we will visit the districts of wooden architecture which Tallinn is famous for. A fantastic private walking tour of Tallinn's famous Old Town and the Bohemian suburb of Kalamaja. This is way more than your regular Tallinn Old Town tour, escaping the tourist traps to show you the real Tallinn. The tour begins in the Upper Town, the feudal section of the Old Town. A visit to Kalamaja follows, the exciting bohemian suburb filled with beautiful wooden houses and cool cafes. The tour finishes in the Lower Town, home to merchants and artisans. 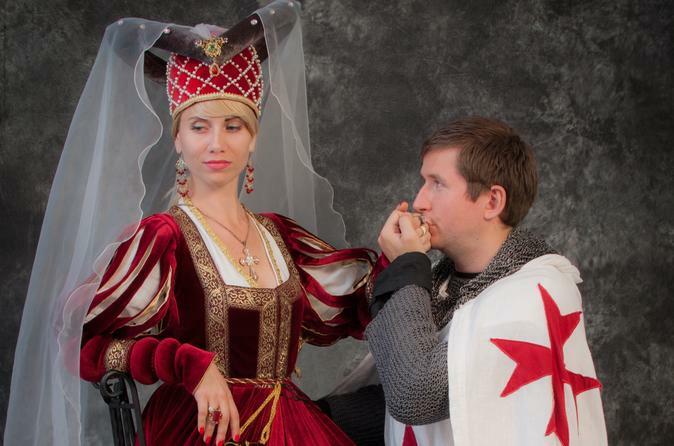 You will be dressed in realistic medieval period costumes and handle authentic period weapons and props. You will get big-size (8" x 12") picture just after shooting. We accept groups up to 10 people. There is possibility to get all the photos on a digital media (DVD). 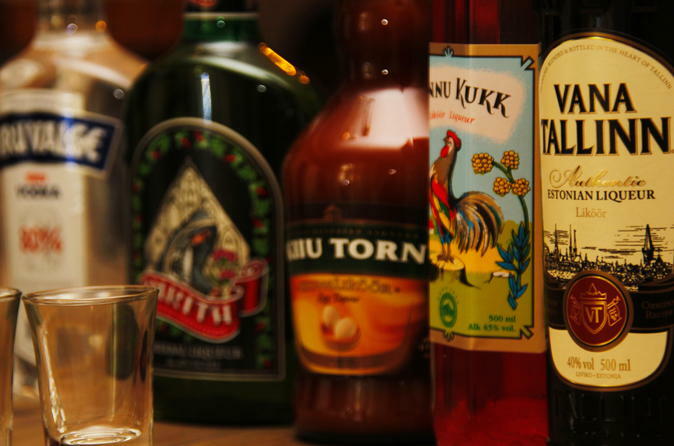 Tasting of world famous, traditional Estonian liqueurs Vana Tallinn, Kannu Kukk, Kiiu Torn, vodka and wines! Starting from Dark Ages, Estonia is known for it's alcoholic drinks. Explore Tallinn on a two hour Walking Tour around the old town and get some fascinating insights into Tallinn's rich history and present life. You will be accompanied by our friendly and professional guides. Keeping the dry facts and figures at a comfortable level, they love getting down to the things that really matter. The best part is that they like to have fun while doing so. 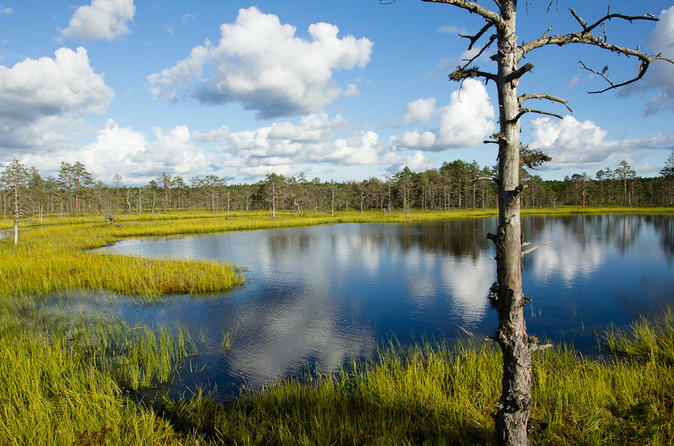 When your cruise ship docks in Tallinn, enjoy this shore excursion to Lahemaa National Park to see the beauty of the northern Estonia landscape. With an expert guide, discover the history and learn lots of interesting facts about Lahemaa. 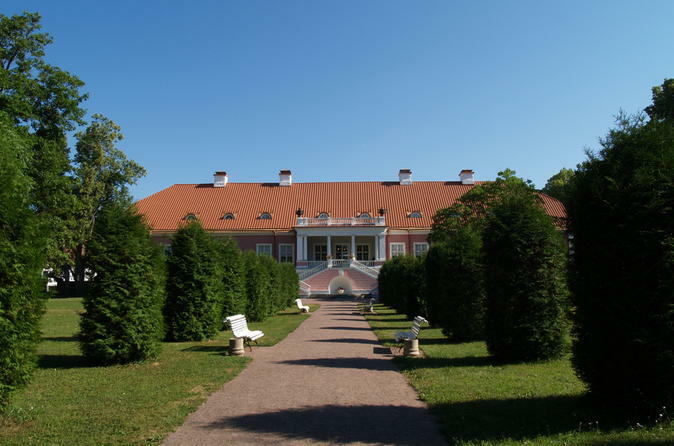 You'll go on a walking tour around the park and tour two of its most magnificent manors – Palmse and Sagadi – which have both been beautifully restored to give you an insight into upper-class 18th-century life in Estonia. It's a great way to see what lies outside of Tallinn and enjoy some of the beautiful scenery this country has to offer! Take part in a quest, similar to a computer game, but this time in a real room with tangible objects. 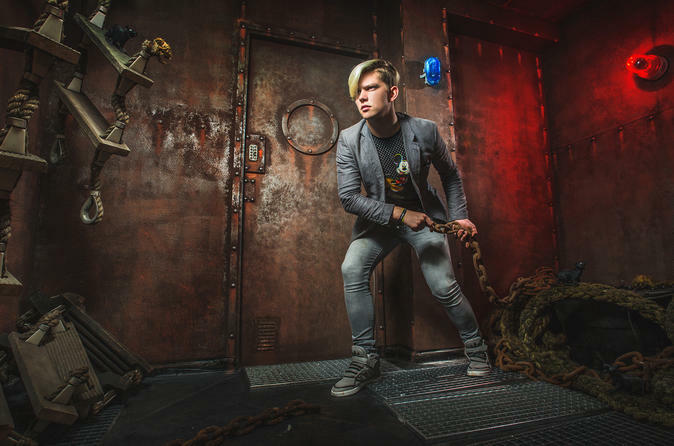 Your aim is to get out of the room you are locked in, in 60 minutes! Claustrophobia is an adventure for two to four players. Some missions will require cooperation, but you don't need extensive knowledge or physical strength to pass this test. You will have to think logically and be attentive to the details.